We offer multiple positions in a variety of departments across Zoo grounds. The Toledo Zoo & Aquarium is currently looking for an Adventure Course and Amusement Manager to lead and direct the overall operations of the Aerial Adventure Course, Zip Line, Amusement Rides and Special Projects and staff at the Toledo Zoo. Bachelor's degree in business management, hospitality / tourism or other related study with at least two years’ experience in adventure tourism management or equivalent combination of education and experience. Experience in ride operations management preferred. Prefer a minimum of 400 logged hours of ‘working at height’ with height rescue training. ACCT Practitioner Certification preferred. Current CPR, First Aid and AED Certification preferred or ability to obtain such certification within 6 months of employment. Must have a valid drivers’ license and be insurable by the fleet insurance carrier. Aggressive compensation package, excellent vacation, bonus and holiday time, 403b plan with employer match and employee contribution, as well as other great benefits. If interested submit an application and resume with salary requirements. Under general supervision, the Sous Chef will support the Executive Chef in the daily activities of the catering department. Will perform catering service food production of diverse menus in a multi-event/location facility which includes the Malawi Event Center and the newly renovated Museum of Natural History. The Malawi Event Center is one of the largest event centers in the Toledo area that can accommodate up to 850 people! The Sous chef will prepare food and buffets, set up supplies, serve food to customers, clean up storage areas, order food items from warehouse, transport food to various locations, and other duties as assigned. · Performs duties related to catering services such as display set-up, monitoring food production and food quality, etc. · Execute catering services provided for events to promote and ensure that the established standards of customer service, food quality, and cleanliness are met. · Supervise and direct the work of subordinate kitchen personnel which includes instructing, assigning and reviewing work; planning; maintaining standards; coordinating activities; allocating personnel; and recommending disciplinary actions. High School Diploma required. Prefer formal education in a Culinary Arts or Hospitality program with a minimum of two years of experience in a similar capacity. A combination of education and experience may be considered to provide the necessary knowledge and skills to fill the position. Supervisory experience is preferred for the position. Must have a valid drivers’ license and be insurable by the fleet insurance carrier. This position is non-exempt under the Fair Labor Standards Act and requires forty hours worked per week. If interested submit an application and resume with salary requirements. Currently the Toledo Zoo is seeking an Exhibits Technician. Under direct supervision, conceptualizes, designs, engineers, fabricates, installs and maintains components for Exhibit Department projects and construction of displays. Executes the purchase and receipt of all materials and supplies in order to complete projects and maintains proper storage of materials and organization in the workshop. Research, develop and utilize innovative materials and methods of exhibit design and fabrication. Fabricates graphic panels and performs installation. Invents, engineers and fabricates various custom components for exhibits and displays. This position will be report directly to the Exhibits Manager. Advance training or certification in Industrial Arts, Mold Design, Sculpting, Carpentry, Industrial Design, or Apprenticeship in Machining, and three to five years’ work experience in stated field(s). Degree in stated field(s) preferred. Must have a valid drivers’ license and be insurable by the fleet insurance carrier. If interested in the Exhibits Technician position click the APPLY NOW button to submit application and resume with salary requirements by March 22th. The Toledo Zoo is committed to inspiring others to join us in caring for animals and conserving the natural world. As part of that mission, the Toledo Zoo is accredited by the Association of Zoos and Aquariums (AZA), and is a leader in global wildlife conservation. AZA member institutions are dedicated to providing excellent care for animals, a great experience for visitors and a better future for all living things. Currently The Toledo Zoo is seeking a Gardener in our Horticulture Department. Under direct supervision, responsible for the proper maintenance of growing house, Ziems Conservatory, formal garden, rose garden, Van Auken Garden, vegetable garden, herb garden, butterfly garden and other landscapes and exhibits as directed; using proper horticultural methods while considering conservation related programs. Maintains growing house and Conservatory including the proper temperature, humidity control, timely pest control, watering, weeding, fertilizing and any other activity necessary for proper plant care and maintenance. Works with animal keepers from other departments to coordinate necessary maintenance or installation work in animal exhibits in assigned areas. Maintains formal garden, rose garden, other gardens, landscapes, and exhibits as directed; using proper horticultural methods. Coordinates the propagation and purchase of annuals, perennials, tropical plants, and woody plants for seasonal and permanent displays and to maintain and add to plant collections. Keeps appropriate records. Oversees and supervises special projects as directed by Curator of Horticulture. Associates Degree in Horticulture or related field and three years of horticulture/greenhouse facility experience or an equivalent combination of education and experience that provides the required knowledge, skills and abilities. Horticulture supervisory experience preferred. Must possess or obtain Ohio Pesticide Applicators license. Must possess a valid drivers’ license and be insurable by the fleet insurance carrier. If interested in the position submit an application and resume by Monday, April 22nd 2019. The Toledo Zoo and Aquarium is currently hiring a self-starting, innovative and outgoing person to fill the position of Veterinarian and Director of Animal Health and Nutrition. Under limited supervision, manages, supervises and performs the medical and surgical care of all animals for the Toledo Zoo; which involves vaccinating and disbursing preventive medication, evaluating nutrition programs and diet formulations with Curators, conducting clinical pathology evaluations, conducting post mortem evaluations, providing input on animal training, maintain and input medical records, providing input into animal husbandry protocols, conducting biological related research and educating students in the veterinarian profession. Manages and supervises the medical and surgical care of all animals for the Toledo Zoo. Performs medical and surgical care of all animals for the Toledo Zoo which involves vaccinating and disbursing preventive medication, performing clinical pathology examinations, using diagnostic tools, performing animal surgery, and performing necropsies. Conducts and coordinates medical aspects of institutional animal transfers. The Toledo Zoo offers aggressive compensation and benefits packages, including bonus potential. Located on the border of Ohio and Michigan, Toledo boasts a low cost of living, several local entertainment districts, and access to well-known Metroparks in both states. Doctoral degree in Veterinary medicine and five years of experience in the Zoo veterinary field. Must be able to obtain a State of Ohio Veterinary License, USDA Veterinary accreditation and a U.S. Drug Enforcement Administration (DEA) License. Must have a valid drivers’ license and be insurable by the fleet insurance carrier. Please submit application and resume with desired salary. Currently the Toledo Zoo is seeking a Controller in our Finance Department. Under limited supervision, ensures the completeness and accuracy of all aspects of the Zoo’s financial accounting and reporting. Manages audit preparation, tax compliance and reporting, insurance risk management and coordination of investigations. Prepares various financial reports. Reports to the Vice President of Finance. Supervises the Purchasing Coordinator, Accounts Payable Coordinator and Cash Control Coordinator. Ensures that scheduling is done in an effective and efficient manner, while maintaining labor costs, meeting staffing objectives and achieving deadlines. Manages the monthly closing process and preparation of financial statements. Receives, reviews, prepares, and/or submits various reports and records including, insurance documents, audit schedules, budget reports etc. Must be proficient in standard accounting software packages and general computer applications such as Microsoft Office and Adobe Acrobat. Must have valid drivers’ license and be insurable by the fleet insurance carrier. 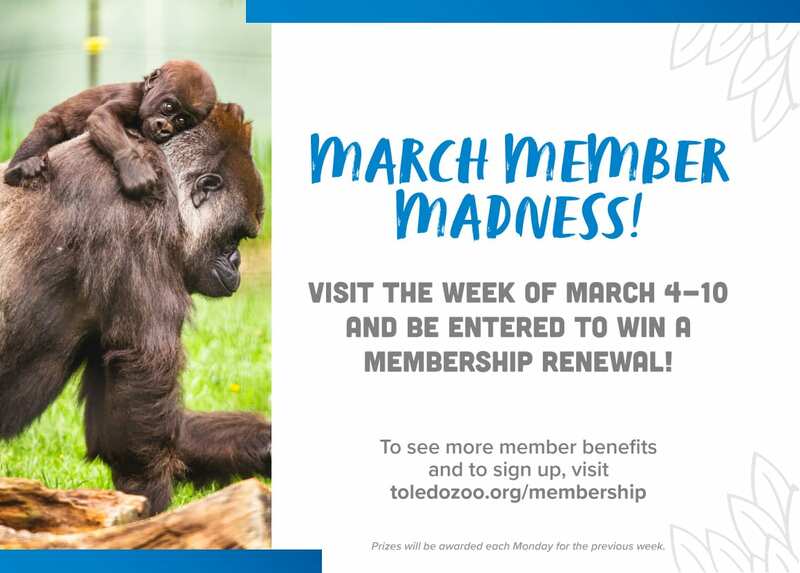 The Toledo Zoo offer an aggressive compensation package, excellent vacation, bonus and holiday time, 403b plan with employer match and employer contribution as well as many other great benefits. If interested in the position submit an application and resume with desired salary. • Requires working flexible hours including weekends and holidays. • May require working in all weather conditions, the ability to stand for extended periods and walk extensively on Zoo grounds. • Can work up to 125 hours a month. • Typically begin in the spring and end in the fall. • Must be able to work flexible hours including weekends and holidays. • Can work up to 40 hours a week during their designated season. Applicants must be at least 16 years old, unless stated otherwise. In some cases a resume may also be requested. You can also pick up an application daily from 10 a.m. to 5 p.m. at the Zoo's Administration building at 2605 Broadway Street. Employees will be working in a team environment and be under general supervision. The responsibilities include the set up and tear down of catered Zoo events that could include banquets, picnics, weddings, special member events, public events, concerts and other events. Must be able to work indoor and outdoor in different weather conditions. Maintaining high sense of urgency and customer service skills are a must. Applicants must be 21 years of age or older. Currently accepting applications for Concessions Crew! Employees will work in a fast-paced food service environment and will have high visitor interaction. Responsibilities will include cash handling, working with food preparation, working in concession stands, and maintaining cleanliness of department. Applicants over 21 years of age may also be considered at stands where alcohol is served including our newly renovated Museum of Natural History! Outgoing personality and great customer service skills required for all positions. Effectively carry out safety and security policies that provide for protection of visitors, employees, animals and zoo assets. Duties will include but are not limited to monitoring and reporting on the following: air & water temperatures, water filtration systems, intruder/fire detection and camera surveillance equipment. Prefer candidates with law enforcement or fire science background and a minimum of one year experience. Applicants must be available some holidays and weekends. Applicants must be at least 21 years of age, have a valid driver’s license and be insurable by the fleet insurance carrier. The Toledo Zoo Finance Department is looking for a Cash Control Clerk. Experience with cash handling and Microsoft Excel preferred. The duties include, but are not limited to; balancing daily deposits with register drawers, entering data from daily deposit into computer using Microsoft Excel and preparing consolidated daily reports, maintains currency & coin supply, processing & balancing of membership applications, assist Cash Control Coordinator with overseeing the credit card system for all cash operations and ordering supplies, collects and counts monies from various donation wells throughout the zoo and utilizes various types of equipment and machinery including a cash jetscan, coin jetsort, adding machine, computer, printer, copier, and general office supplies. Hours and days vary per week but can range from 18-28 hours per week. Applicants MUST be available to work some nights, weekends and holidays. Are you ready for adventure? The Zoo is looking for staff to operate our Aerial Adventure Ropes Course and Zipline. Employees must be outgoing, friendly and energetic individuals who are willing to assist and coach guests through high ropes challenges. Must be safety conscious, have good communication skills, and be comfortable working at height. Previous experience on ropes courses, rock climbing, or zip lines is a plus. General Staff must be at least 18 years old. Staff must attend and successfully complete an Adventure Course Training in spring. The Zoo is looking for staff to support our Aerial Adventure Ropes Course and Zip Line. Employees will be responsible for the Adventure Course Sales Hut, ensuring guest paperwork is complete, helping guests put on safety equipment, and guiding guests back to the ground on our free-fall devices. Employees must be outgoing, friendly and energetic. Extraordinary customer service and attention to detail will be key. Staff must be at least 18 years old. This position is a front line sales position and requires approaching Zoo visitors to promote the sale of Zoo membership’s on-grounds. Position will also assist with various administrative tasks. Must have experience working with computer systems and have the ability to approach guests in a fun, positive manner. Strong customer service skills and an engaging personality required. Pay rate is salary plus commission. Must be available to work evenings and weekends. Applicants must be 18 years of age or older to apply. Position operates the Zoo’s Courtesy shuttle bus to transport guests to the back parking lot from the Main Entrance. The main route of the shuttle bus is entirely within Zoo grounds, but there may be shifts which require guests to be transported on and off-site. Applicants must exhibit strong communication, customer service and multi-tasking skills and have the ability to work in a fast paced environment. This position is part of our Park Operations Department, so when not driving, other duties may be assigned including work in our parking lot booths. Applicants must be available to work weekends and will work from Memorial Day to Labor Day and may continue through the Lights Before Christmas season. Applicants must be at least 21 years old, have a valid Class B commercial driver’s license with a passenger endorsement, a current DOT Medical Evaluation, be insurable by our fleet insurance, and at least one year experience driving commercially. The Toledo Zoo is an Equal Opportunity Employer, drug and alcohol free workplace and offers a competitive salary and benefits package. Pre-employment screenings required. Looking for internships or volunteer opportunities? Click below to find the program that fits you.